No matter how great your running shoes are, you’ve probably noticed that they just don’t seem to fit the same each time you wear them. But any runner will tell you that having a great, snug fitted running shoe is key to having an enjoyable run and, of course, to any training programme. If you’re tired of having ill-fitting running shoes, then you’ll be all sorts of excited about Under Armour RailFit – an all-new custom fit lace system designed to give you the perfect fit every time. This exciting new innovation was developed around the idea that laces should adjust to the wearer, not the other way around. To find their perfect fit, the wearer can simply slide the moveable RailFit eyelets to the preferred position – no mess, no endless relacing – just a great fit. 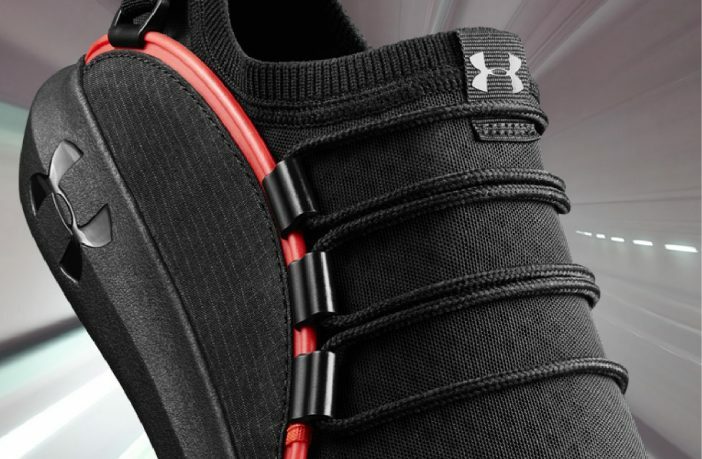 What’s more, the shoe also features elastic heel straps to lock your foot in place, ensuring that there’s no slipping and sliding while you’re working out. Additional features of the RailFit shoe include a full-length EVA midsole for ample cushioning; an embedded footbed for added durability, and traction; as well as a dual-layer mesh and a flexible foam upper for additional support. Under Armour RailFit is available in a variety of colours including black, white and olive green for a recommended retail price of R1899. Shop the Under Armour range here. Want more fitness news? Check out our Health & Fitness Section for more exciting reading!